I was super lucky as a teenager and had fantastic skin. This continued into my twenties, and as such, I neglected to adopt any type of daily skin care regimen or consider how my diet or water intake might affect my skin long term. Other than the occasional face wipe to remove a few swipes of mascara from a night out or to clean up while on a camping trip, I thought a skin care routine was for my peers struggling with breakouts and greasy skin. Lately, however, I have started to notice some beginning signs of aging; first wrinkles appearing (sigh...), dark under eye circles (particularly on days following a night of little sleep) and spots of discoloration. I've realized it's time to up my game and commit to taking my anti-aging destiny into my own hands. Today I've partnered with Olay to share 7 anti-aging tips for achieving beautiful, healthy skin without spending prestige prices. I like to fill up water bottles that equal ~8 glasses a day and place them in the fridge. That way I can easily keep track of how much water I'm drinking throughout the day. I also always take a water bottle with me whenever I leave the house, even if it's just for a quick trip or 10-minute walk. The skin is the largest organ of your body. And just like all other parts of your body, your skin is made of cells, made of water! Without water organs cannot function and if your skin isn't getting enough water, a lack of hydration will show up as dry, tight and flaky skin with less resilience, more prone to wrinkling. You lose large quantities of water every day and your skin is the last organ reached by water in your body. It's super important to re-hydrate constantly. Drinking 8 glasses of water a day will help rid your body of toxins and can lead to better skin and increased glow! In addition to hydrating skin through water intake, a good anti-aging cream can be absorbed directly through the skin for hydration. 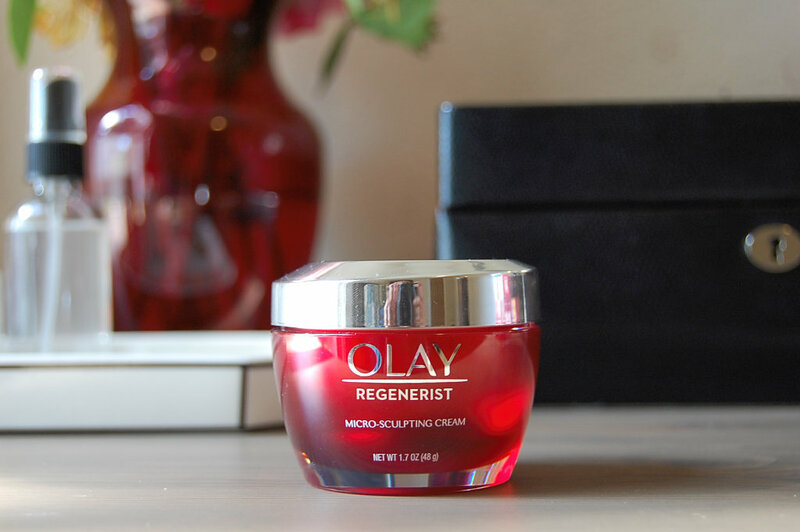 Hydration is one of the key benefits for preventative anti-aging measures and the Olay Regenerist Micro-Sculpting Cream is not only an anti-aging cream but a moisturizing and plumping powerhouse. 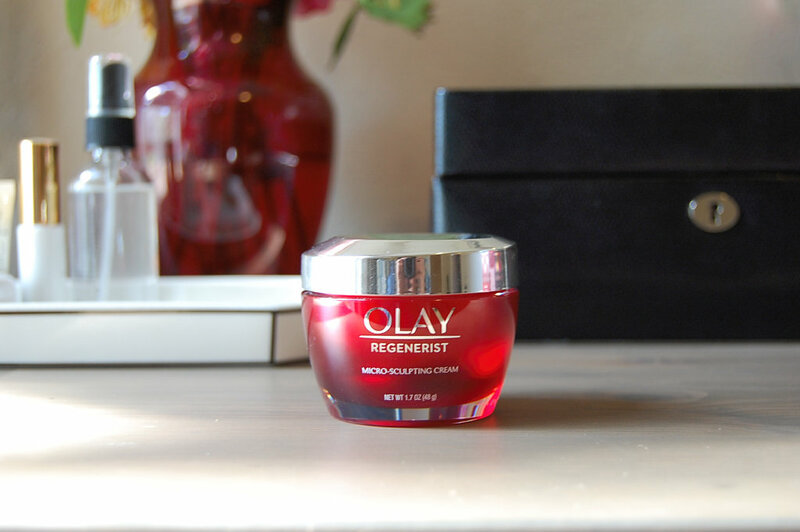 An independent test by the Good Housekeeping Institute proved Olay beat 10 pricey creams found at most department stores (including one with a $440 price tag!). The Olay Micro-Sculpting Cream outperformed them all, proving prestige prices are not always necessary to achieve beautiful skin! Woot for this soon to be bride in the midst of planning a wedding! Is FAST ACTING. At the 3hr mark, Olay moisturized 400% better than a cream nearly 18 times it's price and beat out all other products tested. Has LONG-LAST HYDRATION. 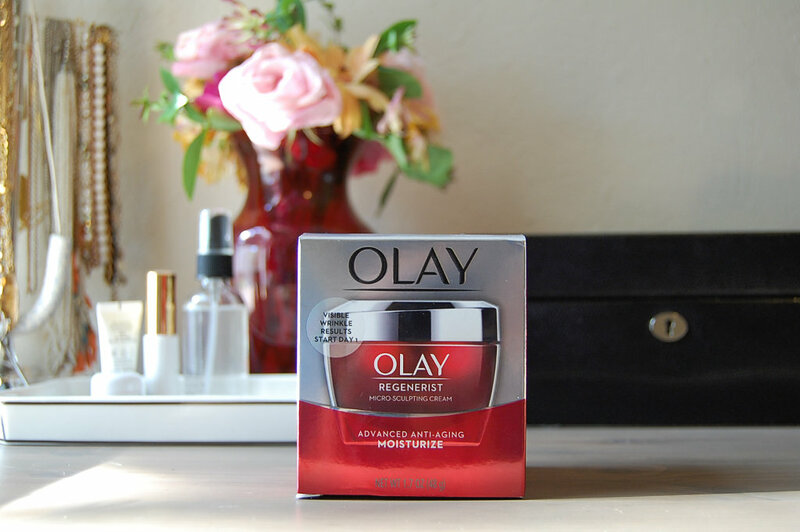 Olay increased moisture by 50% on average over a 24hr period. 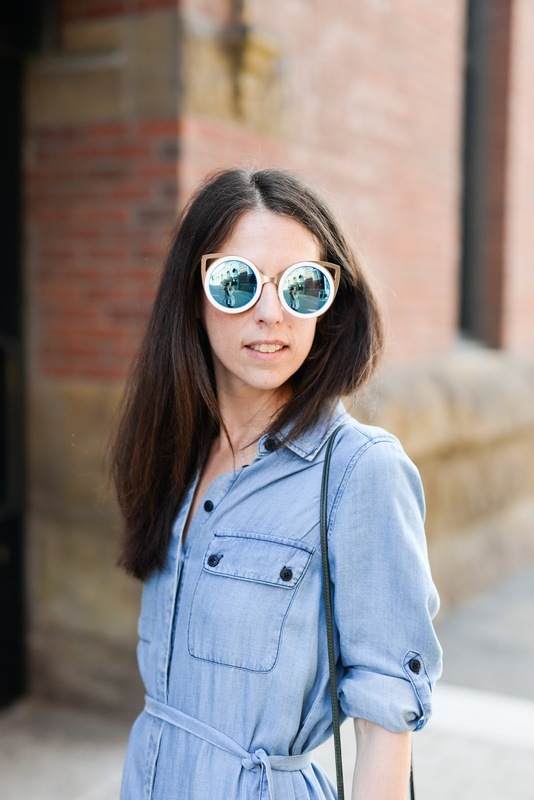 Has a LIGHTWEIGHT TEXTURE that feels "rich" without being heavy. In blind comparisons 80% preferred Olay over expensive creams. Has FIRMING & PLUMPING INGREDIENTS that improve skin's texture by 10% in four weeks. A recent Olay study with 155,000 women showed that 80% of skin's anti-aging destiny is within women's control and not related to genes. Instead of spending hundreds of dollars on expensive creams that over promise and under deliver, Olay offers the best anti-aging products at a fraction of the cost. 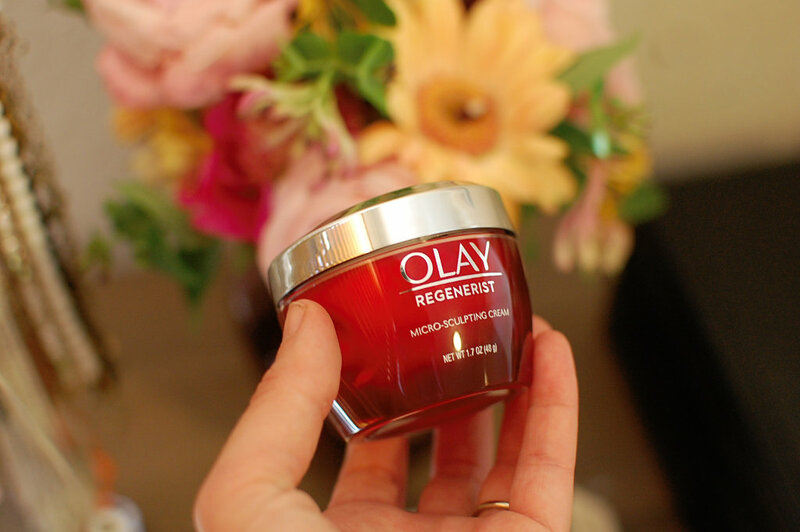 The Olay Regenerist Micro-Sculpting Cream has visible wrinkle results starting at day 1 with an almost immediate reduction in the appearances of lines and a boost of hydration and brightness. After 2 weeks skin is noticeably firmer and skin elasticity is improved. Four weeks of use reduces the look of up to 10 years of wrinkles! This anti-aging moisturizer is a must have for a skincare routine day and night. Those only-as-I-need-them face wipes have been replaced with a skin care regimen every morning and night that include anti-aging facial products, a hydrating face cream, and skin repair products. I use a gel based cleanser to wash my face at the beginning of the day and right before bed nightly that is perfect for my sensitive skin. I also exfoliate 1-2 times a month to rid my skin of dead skin cells and draw out impurities. I like a gentle exfoliant that I can use in the shower. Following morning and nightly cleansing I will sometimes add a serum if I my face is feeling extra dry to lock in extra moisture. 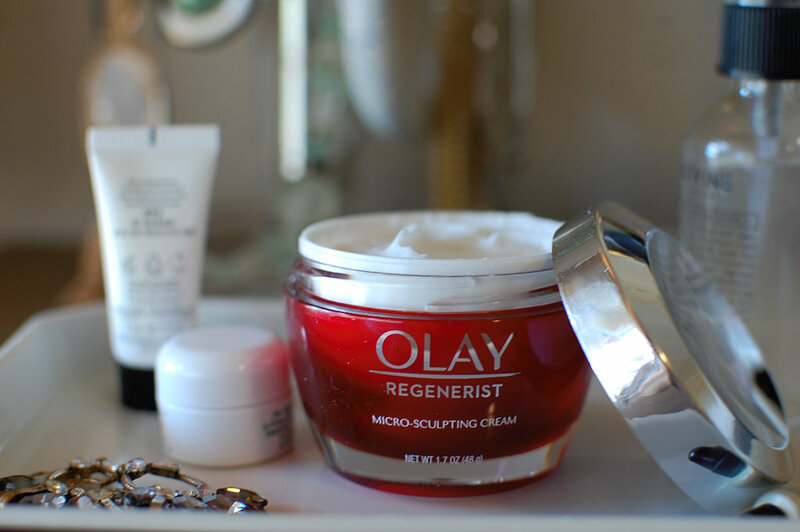 I always apply an anti-aging moisturizer like my Olay Micro-Sculpting Cream. I like to also do a weekly face mask while I watch Netflix or take a bubble bath. Eye cream is a nightly ritual and I follow up my morning routine with an SPF, always! When you sleep your skin has a chance to regenerate as it takes a break from such daily pressures as sun exposure and pollution. Night time is the best time for your body to repair it's skin and cellular systems, shielded from environmental stressors, it has the energy to focus on undoing damage that occurs during the day. The Mayo Clinic advises adults to get 7-9 hours of sleep per night (I will admit that is something I am definitely working on, as I tend more towards 6-7 hours on average). It's super easy to eat your way to fabulous skin. Older cells are constantly shed and replaced by younger ones and a steady supply of micronutrients is essential to support this rapid growth. Eating the correct balance of foods and feeding your skin the vital nutrients it needs will help it to stay soft, supple, healthy and blemish-free. Blueberries, broccoli, kiwi, oranges, papayas, strawberries and sweet potatoes are all great sources for Vitamin C. Vitamin C is a super antioxidant needed for radiant skin, helping blemishes heal properly and help to produce collagen that strengthens capillaries that supply the skin. Brazil nuts, fish, eggs, tomatoes and broccoli are sources of selenium which is a powerful antioxidant that can help protect against skin cancer, sun damage and sun spots. Foods high in Vitamin E, such as almonds, avocados, hazelnuts, pine nuts and sunflower oil, will protect skin against oxidative cell damage and support healthy skin growth. Monounsaturated and polyunsaturated fats, found in avocados, fish, nuts and seeds, provide essential fatty acids which act as a natural moisturizer for your skin and keep it supple. Omega-3 fats encourage the body to produce anti-inflammatory compounds, which can help skin, particularly inflammatory skin conditions such as eczema and psorasis.You can find omega-3s in flax seed oil and walnut oil. On days when I don't have an event, meeting or photo-shoot, I tend to focus only on skincare and skip the makeup. I am not someone who tends to wear a lot of makeup in the first place and I like to let my skin breathe on days when I don't have something important going on. For photo-shoots and events I tend to have to a bit of extra makeup applied, and with my skin being super sensitive, if I apply a ton of makeup day after day I begin to notice breakouts, unbalanced skin and other skin issues that pop up. No makeup days are perfect for face masks and trying out new products. 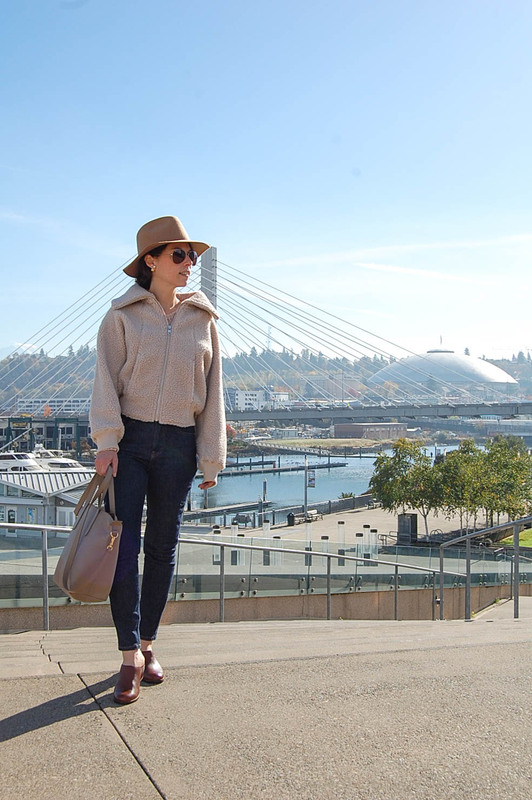 If I have to go out, the blogger "no makeup trick" includes sunglasses and a hat, easy peasy! A friend of mine passed away 2 weeks ago. She was in her mid-30s and it was sudden, unexpected and honestly I'm still a bit in shock. The one thing I have taken away so far though from this unexpected and heartbreaking loss is how truly grateful I am to be alive and what a privilege it is to grow old. As I grow older each day and with a birthday this year that put me a bit closer to 40 and a bit further away from 30, I am suddenly a bit more grateful for each line on my face representing a laugh with a friend, each line on my face representing a squint into a sunset in a new country visited, and each sign of aging representing an adventure with a loved one. Instead of trying to hide, cover or completely delete these signs of adventures, love, laughter and joy, I am learning to embrace them, grateful for each new morning and each new day. What are your favorite tips for anti-aging and healthy beautiful skin? Please leave your tips in the comments! Most of us are familiar with the term anti-aging and you may have heard mention of the natural aging process, but premature aging is different. Premature aging is when your skin undergoes an unnatural aging process, such as with extreme sun exposure or living with an unhealthy lifestyle. I always suggest people use LifeCell all in one anti aging cream, it really works for aging problems. Wonderful helpful post, thank you. Sun and stress are hard on the body including the skin. Shield from the sun or use sunscreen. Breathe, laugh, meditate, etc, as much as possible to let all muscles relax instead of strain. I appreciated the skincare tips! You can take steps to minimize wrinkles and other signs of aging. Anti-aging creams are predominantly moisturiser-based cosmeceutical skin care products marketed with the promise of making the consumer look younger by reducing, masking or preventing signs of skin aging. Right now i am using lifecell all-in-one anti aging cream that really worked for my wrinkles. Anti-Aging products are very popular in the beauty industry. There are a wide variety of products in this industry that offer women and men the chance to look younger and Dermology anti aging serum is one of them. It's true that it purports to rejuvenate skin, banish wrinkles, and leave your skin more radiant and firm, in a very short time. Must give it a try. Olay is an amazing product. It has been quite famous brand found among the beauty industry. I have never tried it but surely gonna try it. Right now I am using revitol anti aging moisturizing cream I absolutely love this cream, it actually is a face lift in a tube with added extras. 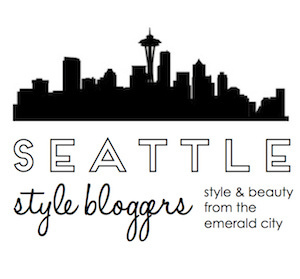 It improved every aspect of my skin: texture, radiance and appearance. Friends have commented how my skin looks glowing and younger. I really like the point You Are What You Eat. Your eating habits directly effects and it can be seen from your body and skin. Thank you for the informative post.